Angola, with Michael Mills moving from Luanda to Cape Town, and Aimy Cáceres moving to Luanda. A single field visit to Mount Moco allowed us to maintain the project there, which included preparing new areas for planting and expanding the nursery. The Kumbira Forest Project received a funding boost due to a second round of funding from the Conservation Leadership Programme. Aimy Cáceres is busy finishing off her PhD and will lead this project next year, working with Ninda and Sendi Baptista and Michael Mills. Another landmark achievement was raising funds to print 3000 copies of the bilingual book on The Common Birds of Luanda, which are now in Luanda and ready to be distributed to schools in 2016. 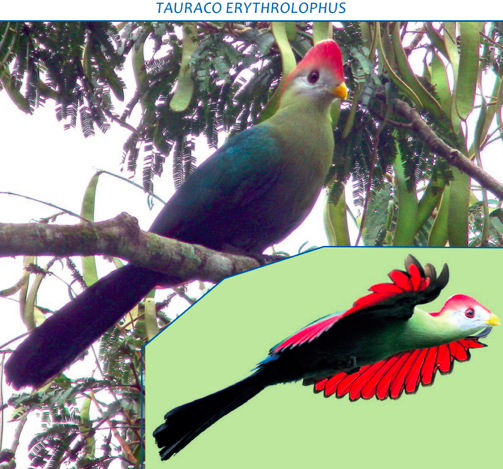 Now available to download, 2014 Annual Report of the Angolan Association for Birds and Nature, in English and in Portuguese. 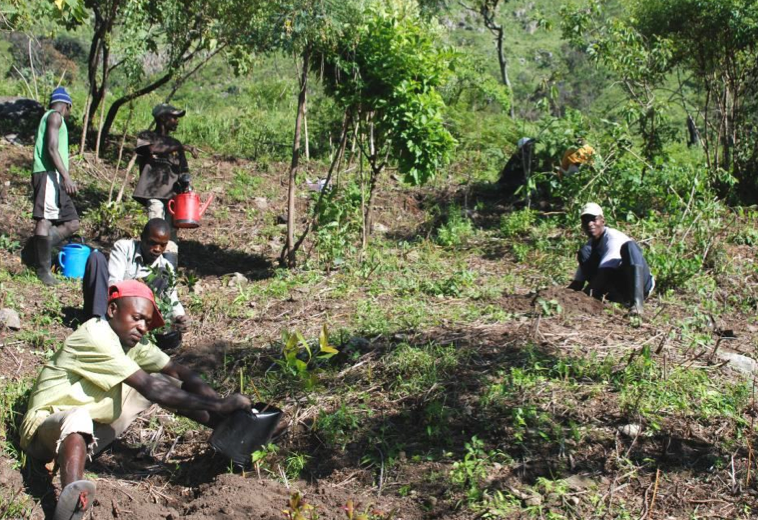 This year saw good progress with our two main projects: at Mount Moco tree planting was accelerated and the nursery expanded, and 80 fuel efficient stoves were finally delivered to the community at Kanjonde, to reduce their reliance on fire wood. 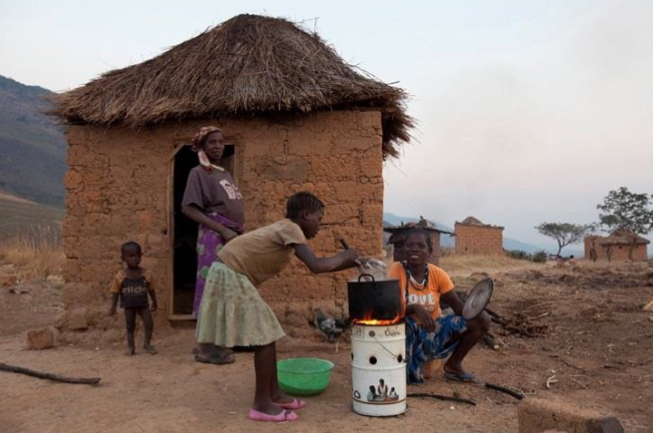 A highlight of the year was delivering 80 fuel efficient stoves for the families at Kanjonde. At Kumbira, a forest in Kwanza Sul province, seven weeks of field study were undertaken by Aimy Cáceres and colleagues, where a detailed study of Gabela Akalat range sizes and habitat use was undertaken, and tree biomass evaluated. Aimy Cáceres radio tracking (left) a tagged Gabela Akalat (right). Additionally, good progress was made with the registration of the Associação Angolana para Aves e Natureza (the Angolan Association for Birds and Nature) with the registration certificate now issued. Other highlights? The bilingual book on The Common Birds of Luanda was completed and will be launched with the launch this year, 2015, of the NGO. Several peer-reviewed publications were produced. 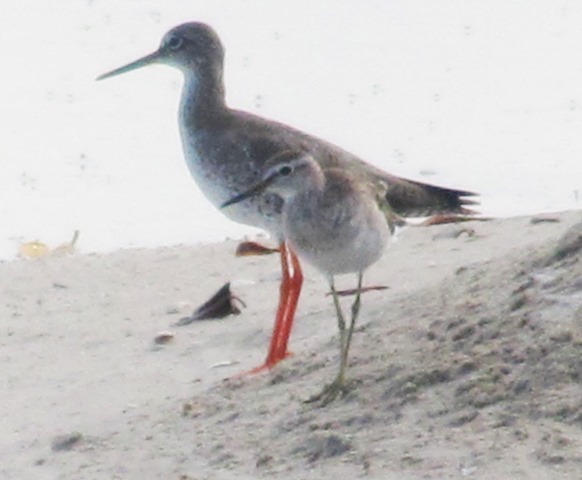 Calling all birders! Check out the Birds Angola website for two new papers to download, regarding the Short-winged Cisticola and the Dusky Twinspot. The Birds Angola website hosts all the latest news and information about birds in Angola, including the latest research and conservation updates. Click here to read the two new papers. Nursery workers in the process of planting some of the 42 newly planted trees in a recently cleared area. The challenge to prevent deforestation on Mount Moco, Angola’s highest mountain, continues in Huambo province. A total of 181 trees have been planted to date and there are 500 seedlings in the nursery, waiting to be planted. Click here to read Michael Mills’ latest report.